What? 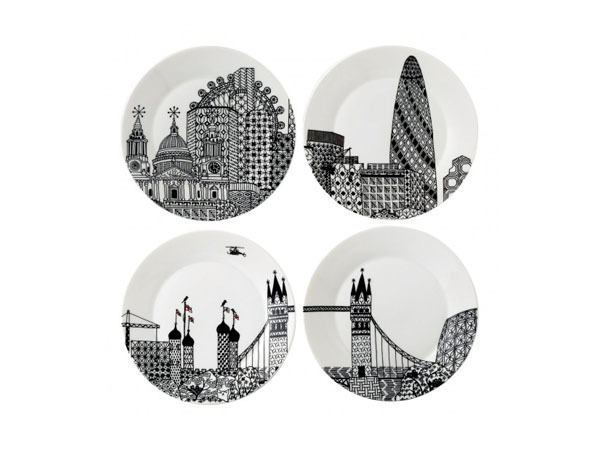 There’s something lovely about the fact that our spiritual home, London, is also the theme of this set of plates. Designed by Charlene Mullen for Royal Doulton, they capture many of the city’s best features like the London eye or the Gherkin. But, while they’re mostly in black and white, you might be surprised to find splashes of colour here and there. Priced at £35 for a set of four.